Filling a niche in the geomorphology teaching market, this introductory book is built around a 12 week course in fluvial geomorphology. 'Reading the landscape' entails making sense of what a riverscape looks like, how it works, how it has evolved over time, and how alterations to one part of a catchment may have secondary consequences elsewhere, over different timeframes. These place-based field analyses are framed within their topographic, climatic and environmental context. Issues and principles presented in the first part of this book provide foundational understandings that underpin the approach to reading the landscape that is presented in the second half of the book. In reading the landscape, detective-style investigations and interpretations are tied to theoretical and conceptual principles to generate catchment-specific analyses of river character, behaviour and evolution, including responses to human disturbance. 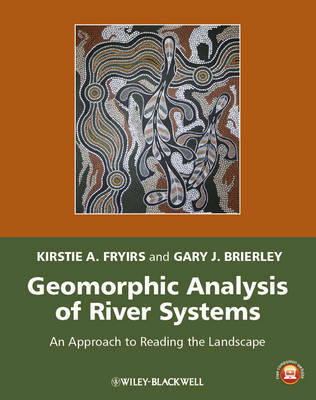 This book has been constructed as an introductory text on river landscapes, providing a bridge and/or companion to quantitatively-framed or modelled approaches to landscape analysis that are addressed elsewhere. Fryirs, Kirstie A.; Fryirs, Kirstie A.; Brierley, Gary J.; Brierley, Gary J.